The nostalgia of vintage textiles--updated with your own personal touch! From eclectic bohemian prints to chic chinoiserie, vintage textile prints are everywhere you look. Now, you can create your own for a fraction of the price! The beauty of this book is in the artistic process as well as the finished piece. First, use our carefully selected color key to color and shade bold geometric prints, retro floral motifs, ornamental quatrefoil, and more. Then, frame your work to add a personal touch to the walls of your home or office. There's no worrying about selecting the wrong colors with our carefully curated color palette. And you can personalize your pieces by experimenting with color intensity and shading. These black-and-white patterns are the perfect blend of inspiration and customization. 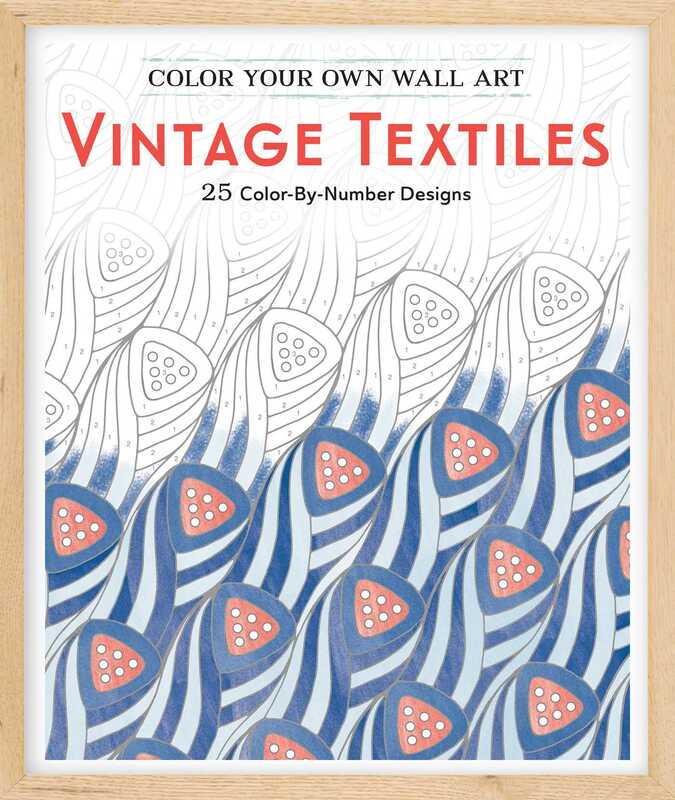 Add a touch of nostalgia to your indoor space with Color Your Own Wall Art Vintage Textiles.